Getting Ready for Summer? We Sure Are! Atlanta's Destination for Active Fun! The top trampoline park in Marietta. All events and activities are supervised by our expertly trained staff. Plenty of comfortable seating for parents where they can watch their children play. Snacks, drinks and & WiFi. Rock wall climbing for all skill levels. The best birthday party place for kids of all ages. 24,000 Sq/Ft of Active, Indoor Fun. Xdrenaline offers fun activities for all ages. From our morning time Toddler Takeovers to our Cosmic Nights parties, we guarantee you and your children will have a great time. We have an incredible trampoline park, rock climbing walls, a ninja course and state-of-the-art virtual reality centers. Everything is closely supervised and there is plenty of comfortable seating and amenities for parents to relax or work while their children are playing. Xdrenaline has quickly become the “go-to” fun park in the Atlanta area. Xdrenaline Has the Best Parties!! Xdrenaline is an Atlanta favorite for children’s birthday parties. Our party packages offer amazing value. We are committed to creating a party that is enjoyable for both children and parents. Enjoy your own private room including a personal party host, food, drinks and birthday cake. All access play is included with optional private Virtual Reality booths. For more information, visit our birthday party and group events page. Black lights + Lasers + LEDs + Music = ACTIVE COSMIC FUN! Looking for something different to do on a Friday or Saturday night? Grab your friends and join the ultimate indoor party in Marietta. Every Friday and Saturday night, from 7 till 10pm, Xdrenaline is transformed into Cosmic Nights. Music, black lights, lasers, trampolines and much more. Tickets are limited so be sure to book yours today. COSMIC NIGHTS BIRTHDAY PARTIES ARE THE BEST, click here for more info! Play times may sell out! See a list of our upcoming events on our news & events page. PartY PACKAGES starting @ $149! Sign up at the bottom of our site to receive weekly emails of our BEST DEALS and SPECIALS! 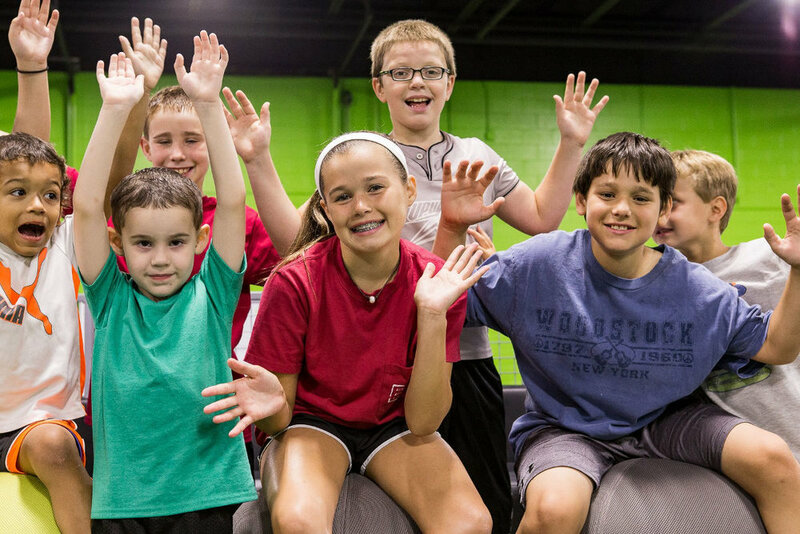 PLAN YOUR XDRENALINE TRAMPOLINE PARK & FUN CENTER VISIT TODAY! no hard casts - other restrictions may apply - a valid waiver and Xdrenaline trampoline socks are required to participate.